As I have been playing with the various Azure Logic Apps actions available, I have uncovered that there seem to be a lot that are missing when it comes to SharePoint Online. 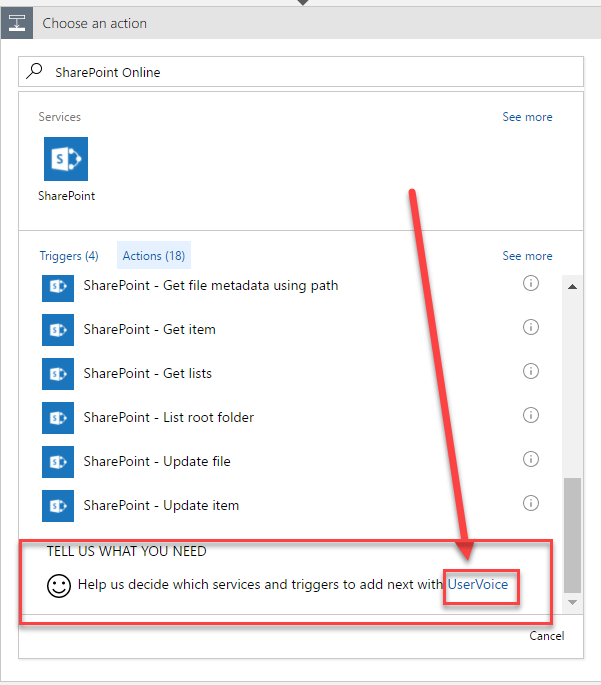 Many of these actions that are missing can quite easily be custom created by an Azure Function, however, a lot of the basic actions and triggers should be built-in within the provided SharePoint Online logic app action itself (i.e. the basic ability to create a folder in SharePoint Online). Microsoft is well aware that there are capabilities that are missing and is stressing that users provide their input into the most desired pieces of functionality in the How can we improve Microsoft Azure Logic Apps UserVoice site. I encourage anyone who is interested in using with Azure Logic Apps with Office 365 / SharePoint to provide their input to this User Voice site.